Gifts of the quilty nature are always on my wish list every year and this year Santa did really well in granting many of my wishes. 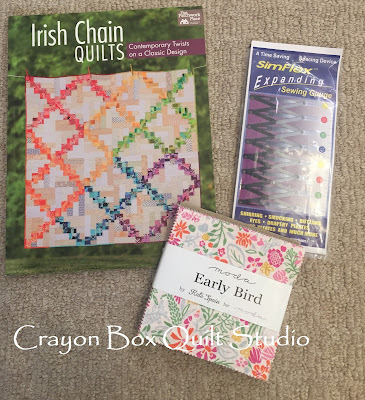 I've got an Irish Chain quilt on my bucket list so Melissa Cory's book was an instant addition to the list as soon as it came out. The expanding sewing gauge was also on the list for a few years and now I can cross that off to make room for other new goodies. And of course adding some of Kate Spain's Early Bird fabric line to my huge Kate Spain stash is always a good thing. Santa also brought me a new Clover leather thimble (I have a well loved one and am scared it will get lost), a jar of Peels for taming thread, a 6 1/2" x 12 1/2" Creative Grids ruler and not 1 but 3 of the cute Thimble Blossoms pins. 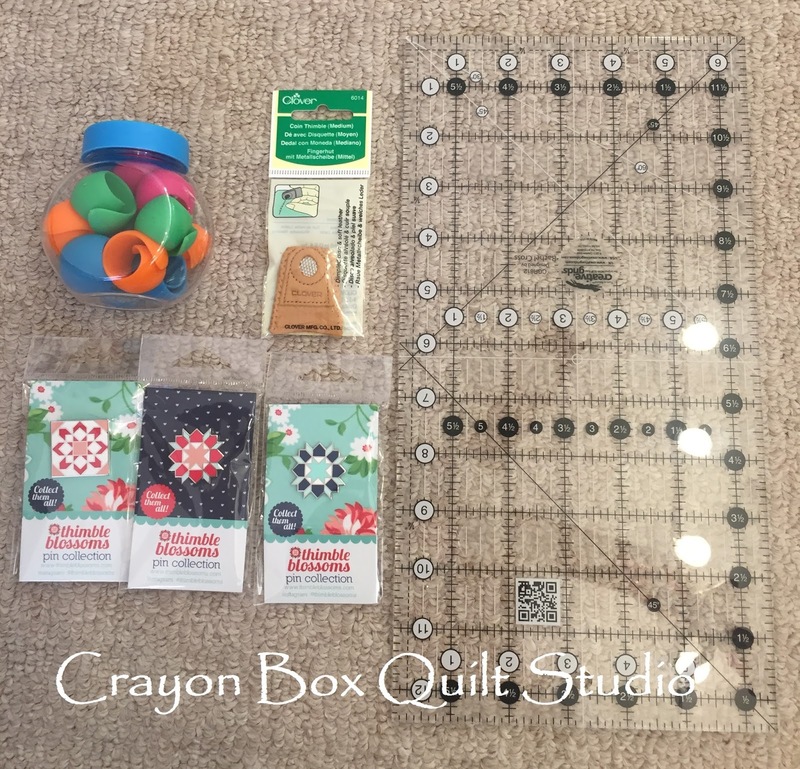 Santa is always happy to have a wish list to choose from to make his task easier and I love getting quilty things that I want. It's a win-win for all. 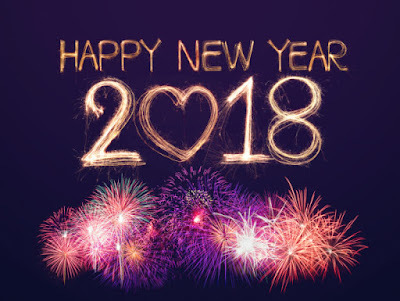 I want to wish you a very Happy New Year. May the coming year be good to you and yours and may you accomplish all that you hope for. I know for me, I've already started working on my 2018 goals. You were obviously a very good girl in 2017. Santa treated you well! Wishing you a happy and healthy 2018!